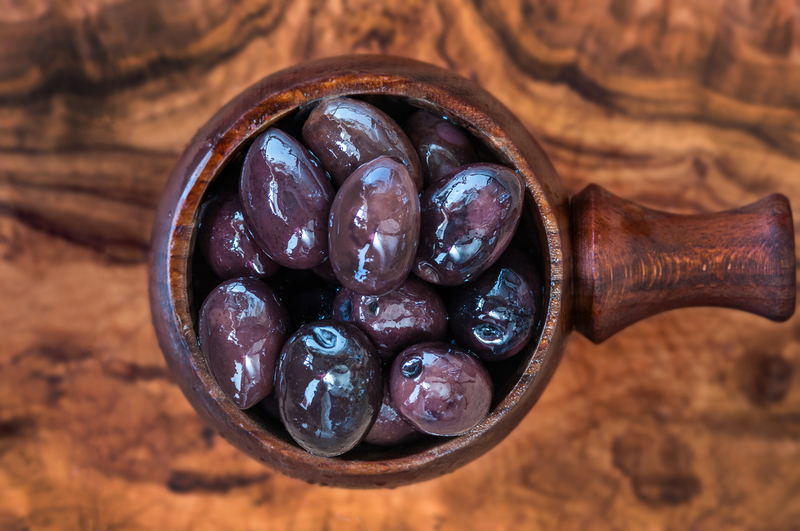 The super colossal Kalamata olives from Greece always remind us of holidays spent eating Greek salad with plenty of salty feta cheese, saturated in rich Greek olive oil. These glorious olives are the real deal, lovely rich flesh which easily comes off the stone, a true classic. Kalamata Olives (92%), Rapeseed Oil.